With the availability of tools like DirectX and OpenGL, writing a desktop application that renders 3D elements is not very difficult nowadays. However, like many technologies, there are sometimes obstacles making it difficult for developers trying to enter into this niche. Over time, the race between DirectX and OpenGL has caused these technologies to become more accessible to developers, along with better documentation and an easier process of becoming a skilled DirectX or OpenGL developer. DirectX, introduced and maintained by Microsoft, is a technology specific to the Windows platform. On the other hand, OpenGL is a cross-platform API for the 3D graphics arena whose specification is maintained by the Khronos Group. 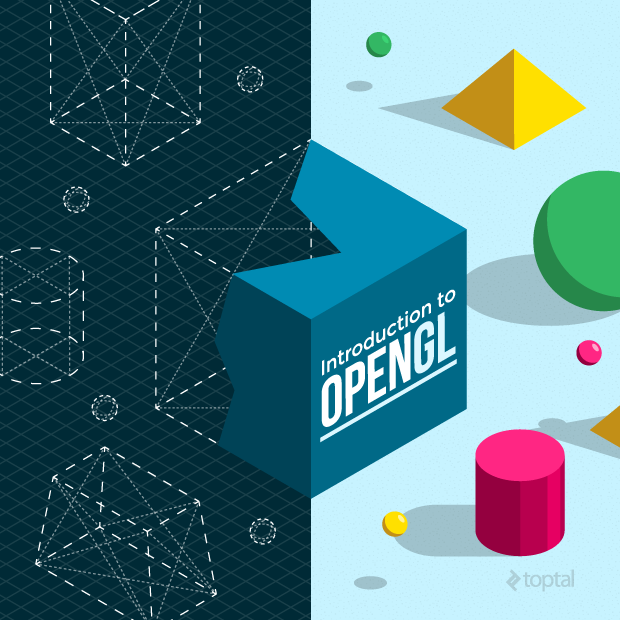 In this introduction to OpenGL, you will write a very simple application to render 3D text models. We will be using Qt/Qt Creator to implement the UI, making it easy to compile and run this application on multiple platforms. The source code of the prototype built for this article is available on GitHub. The goal of this simple application is to generate 3D models, save them to a file with a simple format, and to open and render them on screen. The 3D model in the rendered scene will be rotatable and zoomable, to give a better sense of depth and dimension.